Theft, buying stolen goods, and copyright infringement: The world of leaked software is a dirty place. Several copies of the Xbox 360 version of Call of Duty: Black Ops were apparently stolen from a printing firm in Alabama yesterday, prompting fears that the game might find its way onto torrent sites ahead of its release in November. The alleged thief reportedly sold the stolen disks to interesting parties via a number of websites dedicated to Xbox 360 modding and leaked and cracked software, although there was initially some confusion over exactly who had bought the disks. A picture of one of the disks surfaced with the name "Ungodly Leaker" written underneath it and some took this to mean that the Ungodly, who is credited with leaking Halo: Reach before its release, had a copy, while others claimed it was just the seller specifically showing Ungodly that the game was in his or her possession. Either way, Treyarch's Josh Olin was very keen to get the disks back and went to one of the forums to negotiate. Despite being banned from the site in question, Olin was able to contact one of its members via Twitter who agreed to act as his proxy. The forum user then made a thread saying that Olin was looking for information, and if the game did get leaked, Olin would make sure that the site was closed down. The poster later said on the forums that he or she had co-operated with Olin in order to save Ungodly from some kind of legal trouble. The following day, Ungodly distanced himself from the theft, saying that he had been approached to buy one of the disks, but had never actually had it in his hands. 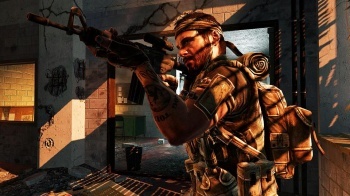 In a conversation supposedly between Olin and a poster on one of the modding forums, Olin said that Treyarch and Activision weren't worried about losing too many sales to modders - hardly surprising, considering that Black Ops is tipped to be an even bigger game than Modern Warfare 2 - but that they wouldn't tolerate people ruining the game's multiplayer. It's not clear whether Olin was successful in reaching a deal with the alleged thief, so the possibility of a leak is still very real. Call of Duty: Black Ops will be released on Xbox 360, PC and PS3 on November 9th.